Tyvon was prompt, courteous and efficient. He did a thorough job on our home. He covered every inch of the house. I was happy that the chemicals he used were odorless, but even happier when I saw how quickly the chemicals began to work. I started seeing results immediately. I was very pleased with Tyvon's professionalism and mannerism. His knowledge of pest control was impressive and the tips he gave us were a plus. He really gives Home Paramount a great name!! You're on the top of my list for pest control. We are fortunate to have Emmanuel as our Home Paramount representative for the last several years. Emmanuel cares about our service and goes out of his way to answer questions and help us. Marvin was the first one who took the time to find source of our continuous mice problem! He went above & beyond pulling stove out, sealing holes. No one had done that before from your company as to why the problem persisted I assume...We would like only Marvin from here on as I was about to cancel our subscription until he showed up. Home Paramount does a great job! Very thorough and easy to work with. My technician David is fantastic! He treats my home like his own, he is professional and thoughtful. After the second visit we've seen no activity. We signed up for the year and he continues to be diligent and detailed in treating our space. Home Paramount has responded to the situations at my house promptly, fully, and, importantly, cheerfully. Always great service, courteous staff. Only criticism is once you switched from sending cards to remind booking a service, often services were scheduled without any input from me as to convenience. Several times someone showed up to perform service while we were out of town. I have been using the services of Home Paramount for more than ten years and am extremely happy with both the regular, quarterly treatments and service and with the excellent results. Even better, the same technician, Emanuel, has been coming to this house and lots of other houses in the neighborhood for many years, so he knows the territory well! I receive regular service and always receive timely reminders. My technician always inquires about any concerns I may have and tailors his treatment accordingly. Excellent, careful service. Juan and Tyvon were incredibly awesome! I recently purchased a home that has a serious bug problem (that I wasn't aware of until after I closed). Juan came out and did an assessment and had a someone there within the hour to start spraying and laying down stuff (i'm not familiar with the names of everything but it looked legit). Within a week, there's a DRASTIC difference in what was there before they came. I sincerely appreciated the professionalism, flexibility and knowledge both Juan and Tyvon bought to the situation. I look forward to continuing to work with them to remedy the current situation and prevent future situations. Thanks guys! Service was great. Employee was very resourceful will recommend to others thanks. Juan and Randy were awesome! Knew their stuff, friendly, and professional. Highly Recommend the team at Home Paramount. The greatest problem living in DC, is rats, rats that you see everywhere. Paramount home service has decreased our problem greatly in and outside the house and are having much more less problem than we faced a month ago. Keep-up the good work, and thank you. Great service. Technician is always professional and on time. It has been a pleasure working with this company. The technician went well beyond what we expected. Although I was unavailable when my technician arrived, he completed his routine around the outside of my house. I appreciate his efficiency and professionalism. Cannot see how the exterior is treated. Not on your part just due to my confinement to the house. Emmanuel does a great job. Thanks. Emmanuel is a great guy. His professionalism and tact make all the difference. I am glad to have Immanuel (please excuse the spelling). He is thorough, polite and helpful. I also liked Johnny very much and was sad to hear that he'd been let go from the company. Your company was unable to solve my bird nesting problem after several attempts. Juan Constanza was involved in this request. I finally solved the problem myself and the result is unprofessional and looks "home made". The technicians are generally respectfully and thorough. Great service and friendly and professional staff. Our last service was exceptional - Finally the technician was able to treat for the ants that are taking over the house! 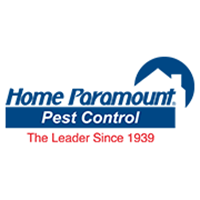 Have been using Home Paramount for many years. Good service, caring. Very pleasant experience working with HP worker..he explained everything and has a most pleasing personality. Thank you for exceptional service. I am quite pleased. yes iam happy with the service,when you own property you have protection,thank you. I have had really great results with all the guys who have come to treat our “pests”- and prevent their return . Great job, guys, thanks!! Home Paramount did a very good job with rodent control.